Every fall and winter fashion magazines tout fur as what’s in vogue for the season — signifying that this un-animal-friendly trend is far from its way out. But if you dig the fashion, but don’t want to commit an environmental faux-pas, lucky for you there are plenty of designers out there creating pieces that don’t lay a hand on our furry friends. Jump ahead for our top 7 faux-fur fashions, each sure to keep you warm and snug for months to come! Every fall and winter fashion magazines tout fur as what's in vogue for the season -- signifying that this un-animal-friendly trend is far from its way out. But if you dig the fashion, but don't want to commit an environmental faux-pas, lucky for you there are plenty of designers out there creating pieces that don't lay a hand on our furry friends. 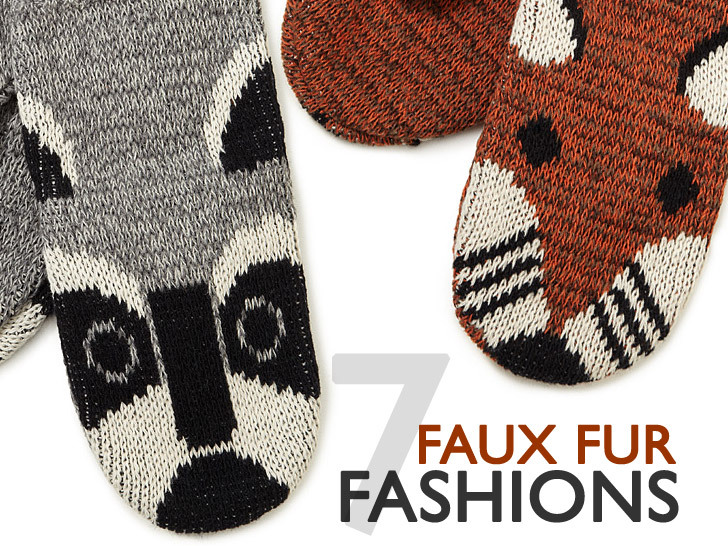 Jump ahead for our top 7 faux-fur fashions, each sure to keep you warm and snug for months to come!